Ballet Pointe Shoes - GREAT news from my ballet teacher! 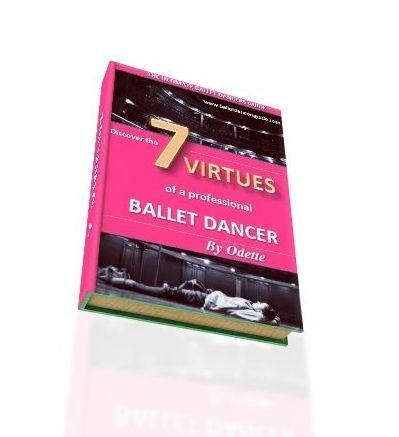 Hi, Odette so I really recieved some absoloutley wonderful news from my ballet tecaher and figured I should wait to tell you, but after seeing your latest blog post (hint hitn!) I couldn't help but let you know what's going on this summer. Yeah, you can probably only begin to imagine how I felt when the two words "shoe fitter" escaped my tecaher's lips. My mom and I both froze barely daring to believe it. My teacher continued on, "And if you want to do the pointe class this summer you're going to have to do the ballet IV class which is followed by the 45 minute pointe class." I said, "Oh my gosh thank you so much!" because that's all I could think to say I was so shocked and excited!!!! "Jacqueline's been working very hard and I want to give her something to aim for. It's hard work though." When my mom and I got in the car I coudln't help it. I burst into tears! But, for once in my entire four years of ballet since I first started at age 9 I was crying tears of JOY over ballet! It took me 10 minutes to stop bawling. My mom kept having to remind me that starting pointe was a "happy" thing. "She even got teary eyed herself seeing me so happy. "Oh my gosh, Jacqueline. I've never seen you cry happy tears before" and we were both sniffling. Everyone in my family knew of what a big deal it was. My dad and two brothers congratulated me when I got home b/c they knew about what a special time this was for me. My ballet school's summer session starts in the second week in June and hopefully I will have my pointe shoes at least one week before then, but we have to see because my teacher needs to e-mail my ballet teacher. I thought I woud start pointe no earlier than late August or september, but early June! That was HUGE for me!!!!.. and I'll finally be doing the ballet IV class level that consists of more advanced ballet steps like arabesque penchee, double fouette turns, double pirouettes, and much more difficult grande allegro. I think that doing the ballet IV level will be the biggest ballet technical step up for me. I will learn sooooooooooooo much from the ballet IV level which will help me in winter when audition for my first ballet summer inetnsives. Well two things first of all I know that you told me a ballet resume isn't as important as getting to know and make contacts with a ballet director and I understand that, but I'm still going to tell you what my resume would look like so, you can understand my ballet trainng. ages 12-14 I will spend at my current ballet school. From ages 14-17 I plan on training with Ballet Chicago or the (preferably) Joffrey Ballet Chicago and from ages 17-18 I want to do the Joffrey ballet trainee program and at age 18 I want to sign a contract with a ballet company. Throughout this if course I will hope to attend at LEAST two ballet summer intensives. Next year I will do the balletIV/pointe classes which are two hours a class and are offered twice a week (Tuesdays and THursdays I believe). Now I was looking at the Joffrey website and saw that they offer classes in their youth division from ages 9-16 and thought they would be good for me. Maybe next year I could do the ballet IV/pointe classes twice a week and on Saturdays do the Joffrey Ballet youth division intermediate ballet and/or advanced ballet classes and possibly do their intermediate jazz class that they reccommend. These classes will allow me to get to know the Joffrey more, get me affiliated with it, and it evens ays that their advanced dancers might advance into their pre-professional division. So next year could be my last year with my ballet school and I could do youth divison classes at the joffrey and in two years (high school freshman, 14 years old,) I could do the Joffrey pre-professional divison. Does this sound good? This doesn't sound too confusing does it? I just e-mailed Joffrey for more info on their youth divison and if pointe classes are offered there. I know it may not sound like it but I REALLY have taken into consideration what you said about living in the moment and I've decided I'm happy where I'm at with ballet and if in two years I don't make into the pre-professional divison it's not the end of the world and that I can still attend some great ballet summer intensives and possibly become dancer if I do a good trainee program. But, for right now I'm just going to enjoy my pointe shoes and I'm considering myself an aspiring pre-professional dancer, but don't think this means I'm giving up on dancing professionally! To:- Ballet Pointe Shoes - GREAT news from my ballet teacher! WOW congratulations on starting with your ballet pointe shoes!!!!!!!!!! This is FANTASTIC news and I am smiling all over for you because I know how passionate you are about ballet, so this is a big achievement for you! I have to say, you sound like you are absolutely on the right track. You are working hard in ballet, keeping determined and have an excellent plan for your future ambitions. I am so impressed by your knowledge and eagerness to really get out there and be noticed by following a great training program. Everything you say sounds absolutely spot on and I know you will do all you can to achieve your goals. You are taking action and really making your dreams come true. Now you can absolutely work towards that goal day by day and keep that motivation to reach your maximum potential. What is even better, is I bet you will also find even MORE opportunities as you develop and reach further through your training. It is all about making your dream happen and you can always find more to get closer to that goal. I am lost for words right now, because everything just sounds so fantastic for you! Well done and thank you SO much for telling me this incredible news!